Foundress of the Institute of the Blessed Virgin Mary (Loreto) pioneer in the field of education, Mary Ward foresaw the need for a sound religious and moral education for young women who would assume responsibility in society. The serenity and confidence in God with which Mary Ward accepted opposition and sufferings makes her a model of faith, trust and courage for all. Her conviction was that "Women in time to come will do much." In 1985 we celebrated the 4th Centenary of the birth of MARY WARD. In 2011, we celebrated the 4th Centenary of the founding of the Institute of the Blessed Virgin Mary (the Congregation of Loreto). Although her aims and objectives of education were formulated in the early 17th century, so farseeing was she, that the goals of our education today are in essence the same as the goals of our Foundress. In modern society, the most important issues to be raised are issues of values and the translation of these values into action. Hence, the goal of our education today continues to be the all-round development of the child. This prepares every student to take her place and make her contribution to society. 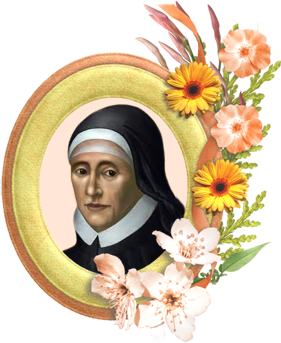 Thus Loreto education today follows the goals set by Mary Ward – "that incomparable woman" who saw Integrity, Justice, Freedom and Love as essential qualities for any person.